December 04, 2018 — NEW YORK–(BUSINESS WIRE)–Showing its age, the long bull market cycle of excess stock and bond returns is expected to finally wind down next year, but not before one last hurrah, according to BofA Merrill Lynch Global Research, which today issued its outlook for the global markets and economy in 2019. 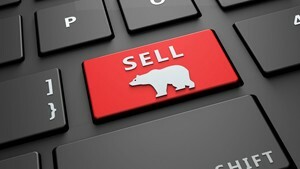 The bear market vibe at the end of 2018 is expected to continue, with asset prices finding their lows in the first half of the 2019 once rate expectations peak and global earnings expectations trough; however, BofA Merrill Lynch also forecasts a record high peak in earnings for the S&P 500 next year and plenty of upside potential for investors who make volatility their new best friend. Earnings growth is expected to decline sharply next year, from >15 percent to <5 percent on a year-over-year basis. The BofA Merrill Lynch Research team is bearish stocks, bonds, and the U.S. dollar; bullish cash and commodities; and long on volatility. We expect to turn tactically risk-on in late spring, but to start 2019 with a bearish asset allocation of 50 percent stocks, 25 percent bonds and 25 percent cash. Earnings growth also is likely to slow in the U.S., though the near-term outlook remains somewhat positive. The Standard and Poor’s 500 Index is expected to peak at or slightly above 3,000 before settling in at a year-end target of 2,900. We forecast earnings per share (EPS) growth of 5 percent, which would put the S&P 500 EPS at a record high of $170 next year. Our U.S. equity strategists are overweight health care, technology, utilities, financials and industrials, and underweight consumer discretionary, communication services and real estate. For most of this long cycle, cash yields couldn’t hold a candle to more compelling asset class alternatives like stocks and bonds; with cash yields higher than dividend yields for 60 percent of the S&P 500 already, cash becomes even more competitive in 2019. Our Fed call puts short rates close to 3.5 percent by the end of 2019, well above the S&P 500’s 1.9 percent dividend yield. Moreover, in a rising-rate environment, cash-generative investments have outperformed credit-sensitive assets. Given cash’s re-rating, 2019 boils down to a strategy of buying sources of cash and selling users of cash. Real U.S. GDP growth of 2.7 percent is forecast for 2019, slowing in the second half of the year as the effects of fiscal stimulus begin to fade. The unemployment rate could reach a 65-year low of 3.2 percent by year-end, pushing wage growth of 3.5 percent in aggregate. Consequently, core price inflation should gradually rise to 2.2 percent through 2019 and hold as rates continue to rise. The housing market is no longer a tailwind for the U.S. economy: we believe housing sales have peaked and home price appreciation is forecast to slow. The global economy is forecast to grow 3.6 percent in 2019, down slightly from 3.8 percent in 2018, with inflation hovering around 3 percent. Most major economies are likely to see decelerating activity, with real GDP growth of 1.4 percent in both Europe and Japan, and 4.6 percent growth in aggregate among the emerging markets. Chinese growth is likely to further weaken early next year as a result of still-tight financial conditions and the U.S.-China trade conflict; however, a steady stream of monetary and fiscal stimulus measures to turn the economy around is expected. Global monetary policy is expected to become less friendly in 2019. A divided government means that additional fiscal stimulus in the U.S. seems unlikely. Europe is largely frozen in place by its budget rules, and Japan appears ready to implement yet another ill-timed consumption tax hike, in our view. Further divergence in monetary policy between the Fed and other major central banks is expected to continue. We forecast the Fed will hike rates four times in 2019, reaching a terminal funds rate of 3.25-3.50 percent by year-end. Meanwhile, the European Central Bank and Bank of Japan are unlikely to raise policy rates meaningfully above zero for at least another two years. Globally, the credit markets face high levels of episodic volatility in 2019 with shrinking supply and quantitative tightening putting 25 to 50 basis points of upward pressure on investment grade and high-yield bond spreads. In the U.S., total returns of 1.42 percent are forecast for high-grade corporate bonds and 2.4 percent for high yield. The U.S.-leveraged loan market remains a bright spot in the credit spectrum, with total returns of between 4 and 5 percent. High-grade and high-yield corporate credit are expected to deliver total returns of 1 percent in Europe and, in Asia, 3 percent and 4.9 percent, respectively. After a major sell-off in 2018, emerging market assets are cheap and under-owned and could be a big winner in 2019 as the dollar weakens, yet EM remains highly vulnerable to spillover effects of U.S.-China trade tensions. We are bullish Brazil and expect its post-election rally to continue, and Russia is expected to improve as we believe sanction risk is priced in. Meanwhile, the outlook is bearish for Mexico, where credit rating downgrades are a concern and volatility surrounds policy changes under its new president. The U.S. dollar was the best performing asset class in 2018, however, most of the dollar gains appear to be in the past. A weaker dollar is expected in 2019, against a stronger euro and Japanese yen. We forecast the EUR/USD and USD/JPY to reach 1.25 and 105, respectively at year-end. The strength of the dollar will depend heavily on evolution of the trade relationship between China and the U.S., which in the short term may mean selling the dollar against a currency insulated from trade war rhetoric, such as the British pound and Swiss franc. The outlook for commodities is modestly positive despite a challenging global macro environment. We forecast Brent and WTI crude oil prices to average $70 and $59 per barrel, respectively in 2019; weather-induced volatility is expected in the near term for U.S. natural gas, as cold weather could propel winter natural gas over $5/MMbtu, yet we remain bearish longer term on strong supply growth. In metals, we remain cautious about copper because of Chinese downside risk. We forecast gold prices will rise to an average of $1,296 per ounce, but could rally to as high as $1,400, driven by U.S. twin deficits and Chinese stimulus.